Goodreads describes Chick Lit this way: "Chick lit is genre fiction which addresses issues of modern womanhood, often humorously and lightheartedly. Although it sometimes includes romantic elements, chick lit is generally not considered a direct subcategory of the romance novel genre, because the heroine's relationship with her family or friends is often just as important as her romantic relationships." Some women feel that the term is demeaning to them and puts them into a category that is often overlooked by the publishing giants. 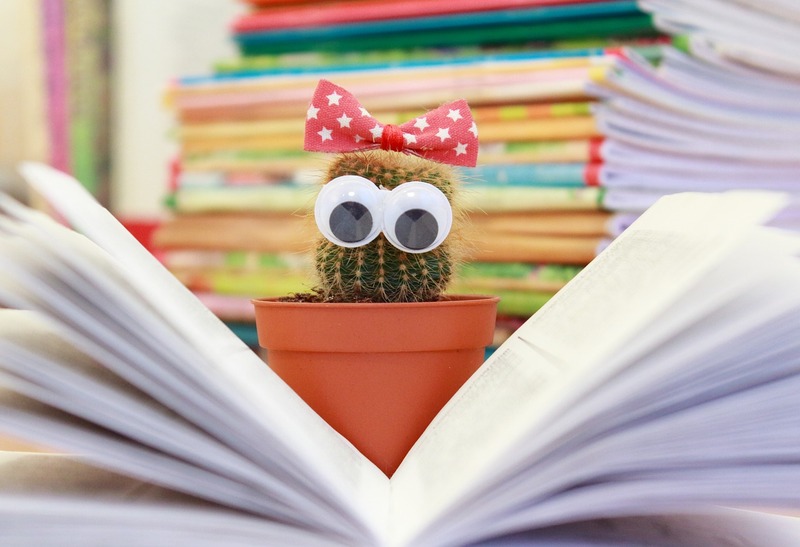 How do you feel about the term chick lit? Is there another term that you prefer? Maybe women's fiction? I'd love to hear your opinions in the comments below. Whatever it's called, it's a genre of fiction that I love and I am happy to share a few books from that category with you today. This is a fantastic book that will bring you to tears but will leave you with a feeling of hope and love. The characters are well done, the plot is terrific and the setting is fantastic. Before I tell you a little about the book, I want to say that the book had me hooked with the setting in Michigan on the Lake. I spent all of my summers at Lake Michigan about 100 miles north of the setting of this book and I think Lake Michigan is one of the most beautiful places in the world. The author described the area and Lake Michigan so well, that it brought back great memories of the time that I spent there (and still do). Mattie and Don have been married almost 50 years when the book begins. Mattie is very independent and has been fighting her diagnosis of ALS but the disease is getting worse. Her husband is totally devoted to her and takes care of her by himself until her disease progresses and he needs help. They hire Rose, a young down-on-her-luck mother with a 6-year-old daughter, Jeri, to take care of Mattie. 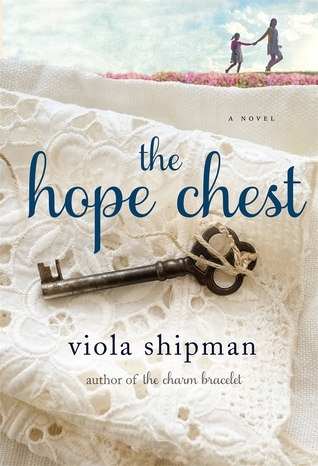 Rose (and Jeri) bring some joy into Mattie and Don's lives as Mattie begins to share her memories of items that are stored in the hope chest that her parents gave her as a child. Each chapter is devoted to a different memory - a vase, an apron, a snow globe and others - and we learn not only the history of the item but also how it affects them present day. 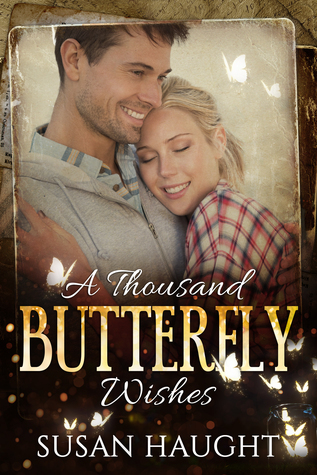 I will warn you that this is a sad book, Mattie's impending death hangs over every page and as you come to know her better throughout the book, it gets sadder. The important thing is that you are not left with a feeling of sadness but a feeling of love and family and the fact that family is not made up of who you are related to but it's made up of the people who love you. "Every garden is a story, waiting to be told..."
This is the belief of the main character, Sorrel Sparrow, who runs a nursery with her sisters. Sorrel has a remarkable reputation in Granite Point for being able to nurture and grow beautiful plants and flowers. She is still trying to find her way after a family tragedy (unknown to me because it's part of the story of The Sparrow Sisters) and when she is offered a chance to go to England to help restore a garden that appears to have a curse and hasn't bloomed in 200 years, she decides that she needs to go despite the closeness that she has with her sisters. The people at Kirkwood Hall in England are all pretty quirky but they are accepting of Sorrel and try to help her with the garden in their own ways despite their fear of the curse. This is an interesting and compelling book to read. There is a little history, a little romance, a little magic and a lot of family history. If you are a gardener, you're going to love this book because the author goes into lots of details about flowers and plants. I enjoyed this book but think I will enjoy it even more after I read The Sparrow Sisters. This book has a little bit of everything - love, friendship, family relationship but most important to me was the caring for the people who cannot care for themselves. Rachel is a nurse at a senior living center. Even though she is a bit of a rebel and a rule bender, she truly cares about her patients and not only their physical well-being but also their happiness. When she breaks the rules, it's to bring happiness to their lives that are often near the end. She was a fantastic character and you can't help but laugh and cry with her throughout the book. Even though she isn't looking for love and has secrets about her past that she is hiding, she develops a relationship with Nico, a CNA at the nursing home. He is also passionate about the patients' happiness and is equally passionate about making Rachel happy. This is a fantastic book with some wonderful characters who will make you laugh and make you cry. This novel is about friendship - the kind of friendship between women that anyone is lucky to find. Carri, Laine and Ella Rae have been friends since elementary school and now in their 30s they are faced with all kinds of adult problems. They live in a small town in the South where every knows all about what is going on in everyone else's life and there are all sorts of eccentric characters. 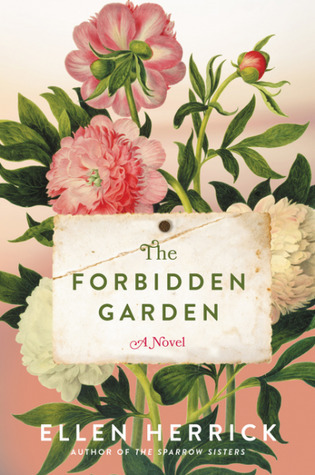 The novel centers around their friendship - first whether or not Carri's husband is having an affair and then over the health of one of the members of the group. I loved all three of the main characters - I live in the South and I know people just like them. I laughed with them and I cried with them and I hated to see the book end. This is a fantastic book and I will definitely be on the lookout for future books from this author. Stopping by with A to Z... there's an essential difference between Chick Lit and Women's fiction, you know. These novels are all WF. Chick Lit features heroines in their 20s, fresh out of college, they have besties, one of whom is usually gay, they are very concerned with fashion and getting life started and there's usually a connection to publishing somehow. Women's fiction, on the other hand, is the stage in life when women are more settled. The blush in life that we see in chick lit isn't there anymore; husbands have lost their romantic tarnish and the heroine may be struggling to hold her marriage together. Issues are difficult, kids usually present an obstacle. WF is often called "Book Club lit" because it deals in heavier topics and it certainly has more room for exploration than Chick Lit, which often feels like the same book (not just plot) rehashed. Thanks Susan. I really like the way that you explained it and I will use your explanation in the future. So for future reference, i know that I prefer WF over Chick Lit, Thanks for stopping by. Dropping by from the A to Z Challenge. Nice books you've reviewed here! Good luck with the rest of your challenge. Thanks for stopping by Sujata. I like Women's Fiction, but am not a fan of the Romance genre - much too cynical for that. 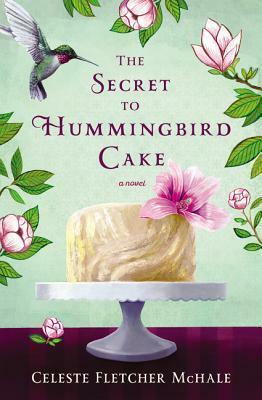 I also like Southern fiction, so The Secret to Hummingbird Cake might go on my to-read list. Thanks for sharing! Stephanie, if you like cynical, there is a character in this book you're going to love. She is full of snarky remarks but in that sweet Southern way! These sound good! I have heard of the term "Chick Flicks" in regards to films but not to writing. Thanks for stopping by Lori. Susan has a great explanation of Chick lit vs Women's fiction in the first comment above.